If you are struggling to make your house payments, you are probably investigating all of your debt relief options. There are several options that may be available to you, but this blog focuses on the pros and cons of foreclosure versus a deed-in-lieu of foreclosure. Some mortgage-holders offer a deed-in-lieu to their borrower as a means for avoiding the foreclosure process. 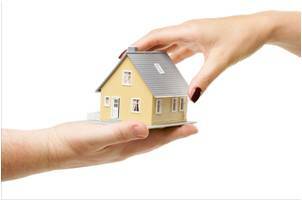 A deed-in-lieu is another name for surrendering your property back to your mortgage lender. Although it has its benefits, it is important to understand that a deed-in-lieu also has some significant disadvantages. A lender benefits from obtaining a deed-in-lieu because it saves it the time and money expended in the foreclosure process. In order to avoid foreclosure, your mortgage-holder may ask that you sign over the deed to your house. This legally transfers title to the property to your lender. As the borrower, it allows you to handle the transaction quickly and privately. A homeowner may be able to negotiate certain benefits with the lender in exchange for the transfer. Of primary concern is negotiating a waiver or a reduction of the deficiency balance that you will otherwise remain liable to pay after the property has been auctioned. Another important factor to consider is that if you use the deed-in-lieu process, the Internal Revenue Service (IRS) considers it “debt forgiveness.” This means that the amount forgiven by your mortgage lender will be considered as income by the IRS and you will be taxed on it. If you are not prepared, this can be financially devastating. If you are facing a foreclosure and trying to decide whether or not to give your lender a deed-in-lieu, you may want to consider filing a personal bankruptcy. A Chapter 7 or Chapter 13 case could allow you to discharge or eliminate the deficiency balance that is left owing after your home is auctioned. A bankruptcy may also help you deal with your taxes. To learn more about your debt relief options, contact the legal team at Faro Crowder, PA. We will review your individual circumstances and help you understand the best strategy for dealing with your debt. This entry was posted in Foreclosure and tagged borrower, deed-in-lieu, foreclosure, home, house, lender, mortgage on December 24, 2014 by Michael Faro.